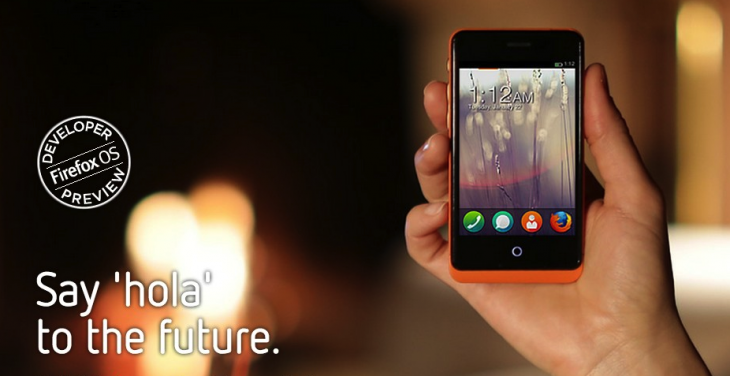 Geeksphone’s Firefox OS smartphones go on sale tomorrow, but will there be buyers? While hardware giants such as ZTE, Alcatel, LG, Huawei and Sony have publicly committed to building and distributing phones running Mozilla’s HTML5-powered Firefox OS, the first company to actually go to market with Firefox OS devices (albeit only developer preview handsets for now) is a bootstrapped Spanish upstart called Geeksphone. With a 12-person team, a 20-year-old CTO and co-founder (see my video interview with Javier Agüera below) and not a single dime in venture capital raised to date, Geeksphone will be opening its online store for customers worldwide in the very near future – as expected. In fact, The Next Web has been informed that people will be able to start placing orders for the startup’s entry-level Keon and the more powerful Peak tomorrow (Tuesday) or Wednesday at the very latest. But we’ll get to that part of the equation later on. Pricing for the Keon, which sports a Qualcomm Snapdragon 1Ghz processor, 4 GB (ROM) and 512 MB (RAM), a 3.5″ HVGA touchscreen and a 3 MP camera, will be roughly 115 euros or 91 euros with VAT excluded. The Peak, which packs a Qualcomm Snapdragon 1.2Ghz chip, a 4.3″ qHD IPS screen and two cameras (8 MP on the back and 2 MP on the front), will set you back approximately 180 euros or 149 euros without VAT. The pricing isn’t set in stone yet – as you can tell from the interview – but the objective is to keep the retail cost of the Keon and the Peak under 100 euros and around 150 euros. This is both excluding European VAT, to be clear. For the pricing in US dollars, we’ll have to wait until the actual opening of the store – we’ll update this post when it goes live. Geeksphone is initially targeting developers who are interested in building apps for Firefox OS, which shouldn’t be too hard to find because that means mostly Web developers with an interest in mobile and HTML5. Meanwhile, the big guys are expected to start selling non-‘developer preview’ Firefox OS phones with a more polished version of the software – and undoubtedly with much more fanfare – in Venezuela, Poland, Brazil, Portugal and Spain in the next few months, kicking off in June. As Mozilla announced on February 24th,the initial countries where Firefox OS devices will be available to consumers are Brazil, Colombia, Hungary, Mexico, Montenegro, Poland, Serbia, Spain and Venezuela. Exact launch timing is decided by and dependent on our partners. Nevertheless, with the startup shipping worldwide and pricing the devices reasonably low, you can bet that many developers who’ve been eager to start building apps for Firefox OS will be tempted by Geeksphone’s offering and not interested in waiting for the majors to come to market. Geeksphone can theoretically manufacture up to roughly 5,000 devices per day, but that all depends on if there’s enough demand down the line. Either way, we’ve confirmed that Geeksphone will start shipping the first ordered phones by the end of this week. The Spanish startup is currently raising funding for the first time since its founding 4 years ago; the round is starting at around 1 million euros ($1.3 million), although I’m told that this figure may grow. Does Firefox OS fill a need? While not everyone is convinced that we need another mobile operating system, Geeksphone’s Agüera says everyone at the company is confident that Firefox OS will be able to make a difference – the startup initially focused on building Android smartphones but switched to Firefox OS entirely last year. The reasons for this are threefold, Agüera says. He argues that Firefox OS stands a chance because Mozilla already boasts a global, engaged developer audience and a strong brand with Firefox, but can also count on broad industry support (OEMs, hardware suppliers, strategic partners etc.) as well as support from telcos worldwide. 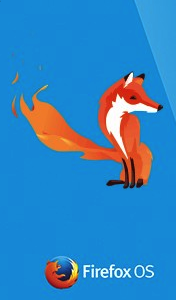 Indeed, when Mozilla presented Firefox OS at this year’s Mobile World Congress in Barcelona, it announced initial partnerships with 17 operators, including Telefónica, Deutsche Telekom, Sprint, KT, China Unicom, América Móvil, SingTel, Telenor and Telecom Italia Group. Many of its current and future carrier partners operate in countries where people are still to purchase their first true smartphone, so Argüera has a point when he says the market is still young and growing, and it does remain unclear how it will continue to develop in the future. Still, it remains to be seen if and how much of a dent Mozilla can really make in the global mobile OS market, which is dominated by Android and iOS today, with ongoing competition from Microsoft’s Windows Phone, BlackBerry and a range of other platforms. In this context, it’s also worth noting Canonical’s ongoing efforts to bring Ubuntu to mobile phones and tablets. We’ll check in with Geeksphone next week to see how developers across the globe responded to tomorrow’s sales kick-off of its Firefox OS developer units, to get the first – albeit small – hint of commercial viability potential for the latest mobile OS on the block.